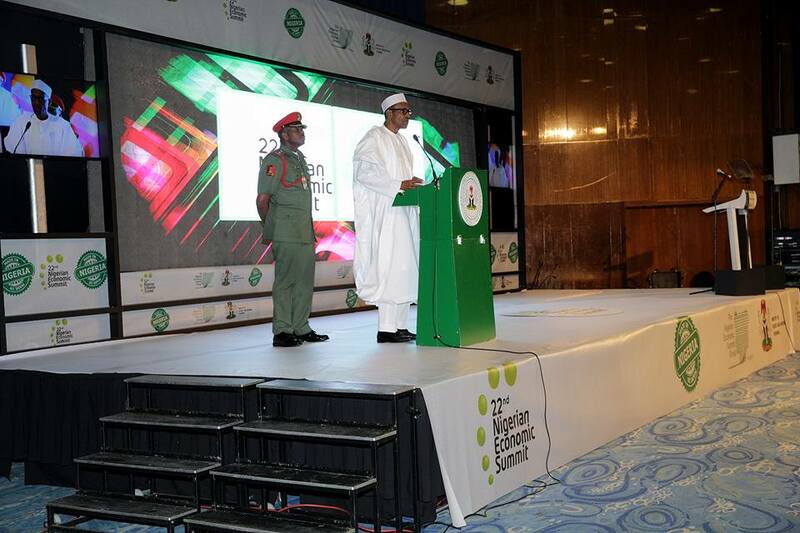 October 22 and 23, 2018 have been fixed for this year’s Nigerian Economic Summit (NES 24) taking place in Abuja. Addressing newsmen on Tuesday, Minister of Budget and National Planning, Mr Udo Udoma, disclosed that this year’s event will focus on good governance as a path to sustainable human and economic development, tilting towards the Economic Recovery and Growth Plan (ERGP) of the federal government. According to him, the ‘Poverty to Prosperity: Making Governance and Institutions to Work’ theme for 201 NES 24 is structured along five key thematic areas of corruption and rule of law: effective public institutions; sustainable economic opportunities; human development and; participation and citizens’ rights. Mr Udoma said this present administration has sustained the fight against corruption and security has also been enhanced across the country to tackle all forms of criminal activities including kidnapping and terrorism; while reforms have been introduced to reduce the cost of governance, promote transparency in the management of public resources, block leakages, raise productivity and ensure value for money. Others include efforts at moving the people from poverty to prosperity, creating employment and empowerment opportunities, combating hunger, improving health and educational infrastructure, enhancing transport and power infrastructure, among others, the Minister said this year’s gathering is designed to accelerate progress towards the implementation of the governance component of the ERGP. “The ultimate goal is to stimulate discussions on accelerating implementation of ERGP strategies on governance in order to enhance the social welfare of the Nigerian people,” he stated. “I am pleased to note that more than 745 startups have already submitted their applications through the applications portal which was opened on the 1st of August, 2018. Eight selected startups will be invited to pitch in front of venture capitalists and angel investors,” he revealed. Recalling the theme of last year’s Summit, ‘Opportunities, Productivity and Employment: Actualizing the Economic Recovery and Growth Plan,’ the Minister said that Summit was out to get stakeholder commitment to the structural and fiscal changes required to link policy to economic opportunities, skills and competencies that deliver them so as to achieve the aims of the ERGP. Chief Executive Officer of the Nigerian Economic Summit Group (NESG), Mr ‘Laoye Jaiyeola, expressed the appreciation to the federal government for the collaboration that has seen the hosting of the Summit for the past 24 years. The Nigerian Economic Summit is organized annually by the Nigerian Economic Summit Group (NESG) in collaboration with the Federal Government of Nigeria, represented by the Ministry of Budget and National Planning. It is a forum for dialogue amongst top policymakers and corporate leaders.